Vue is designed from the ground up to be incrementally adoptable. The core library is focused on the view layer only, and is easy to pick up and integrate with other libraries or existing projects. 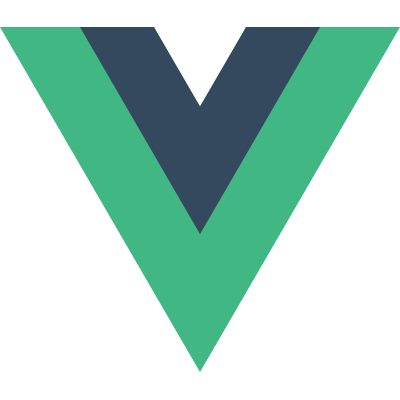 Vue is also perfectly capable of powering sophisticated Single-Page Applications when used in combination with modern tooling and supporting libraries. What about React, Angular, Ember, etc? It really comes down to preference. Do you like fully-featured, opiniated frameworks? Do you have time for the learning curve? I wanted something fast in both performance and time to be productive. I really only wanted the templating and data binding. It reminds me of Knockout. Use your browser's dev tools console to run the code below or click here. Then go back to the slide above. This link should open something. Try it in dev tools or click here to toggle the setting. Try it in dev tools or click here to remove an item or click here to add an item. Let's build some speaker tiles! What does a tile look like? Y'all want to build the session details page? And a page that lists all sessions?